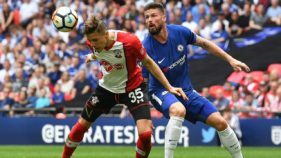 Chelsea booked an FA Cup final showdown with Manchester United as Olivier Giroud tormented Southampton again with a sublime strike in Sunday's 2-0 win at Wembley.Giroud has made a habit of scoring against Southampton and the France forward was their nemesis in a one-sided semi-final. 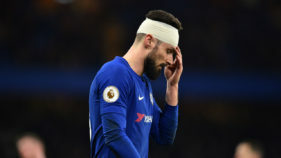 Olivier Giroud is focused on nailing down a first-team place at Chelsea after a dramatic full debut against West Brom, during which he was forced to have five stitches for a head wound. 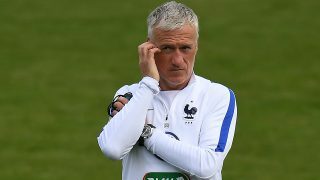 Olivier Giroud revealed on Sunday his move from Arsenal to Chelsea was motivated by a World Cup warning from France coach Didier Deschamps. 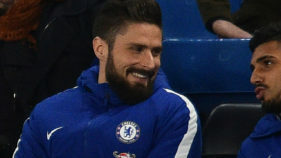 Olivier Giroud pinpointed a return to Champions League football as a key factor in his decision to join Chelsea from Arsenal on the final day of the January transfer window. 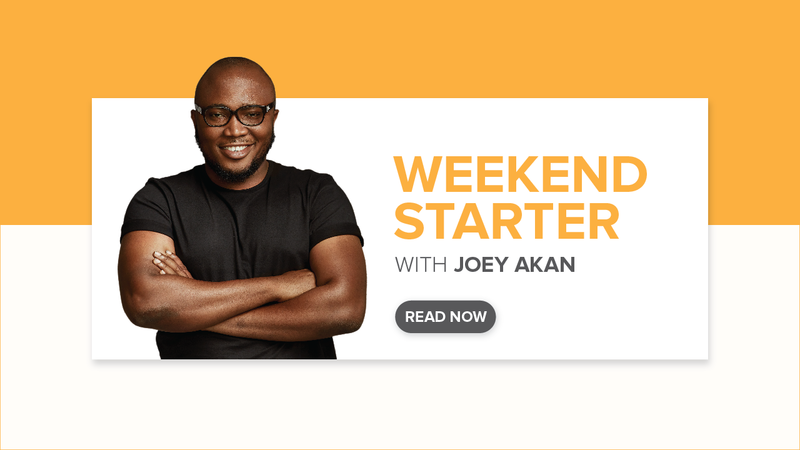 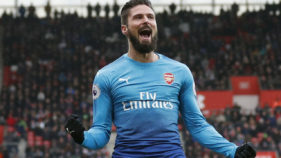 Olivier Giroud came to Arsenal's rescue against Southampton but it remains to be seen whether the striker has done enough to earn his first Premier League start of the season at West Ham United. 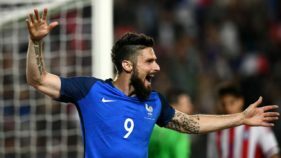 Arsenal striker Olivier Giroud will miss Tuesday's friendly against world champions Germany in Cologne due to injury, the French football federation said on Sunday. 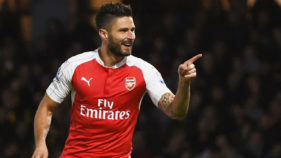 Olivier Giroud scored a fantastic late winner as Arsenal edged to their third straight Europa League win by beating 10-man Red Star Belgrade 1-0 in Serbia on Thursday. 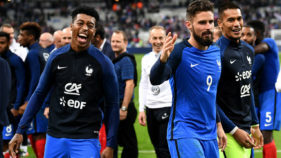 France clinched qualification for the World Cup thanks to goals from Antoine Griezmann and Olivier Giroud in a hard-fought 2-1 win over Belarus on Tuesday. 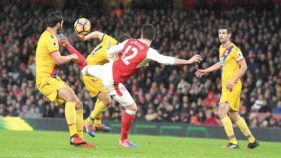 Olivier Giroud got his 100th Arsenal goal as a youthful Gunners side beat BATE Borisov 4-2 in Belarus in the Europa League on Thursday. 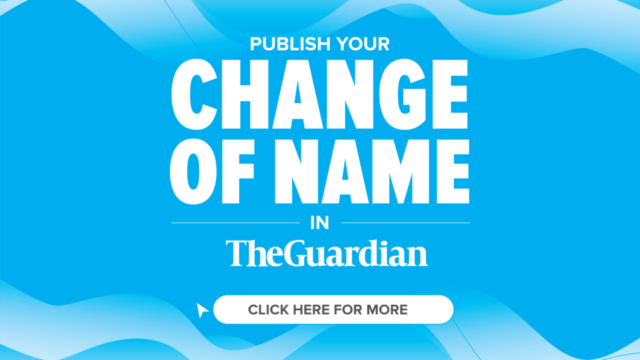 Arsenal striker Olivier Giroud admitted on Wednesday that he came close to leaving the club in the close season before deciding to stay because his "story is not over". 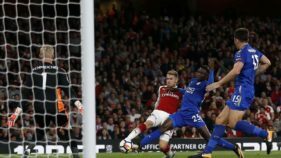 Arsenal staged a dramatic fightback to kick off the new Premier League season with a thrilling 4-3 victory against Leicester on Friday.